Foxtrot was set up in August 2004 with the mission to become the No.1 in Cost effective web design and management. Foxtrot has developed and managed over 25 websites to date, from small famly businesses through to international Plc's. After graduating from Bristol University Tom gained a place on the British Horseracing Board's graduate development programme, concluding with a placement at the Racing Channel. A season working for the Dubai Racing Club in the UAE followed, building a deeper knowledge of racing in the global marketplace. Two years at Stratford-Upon-Avon racecourse then helped to build up his UK racing skillbase. 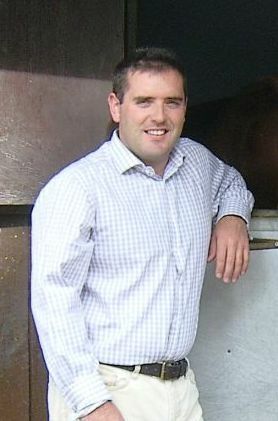 Tom's previous employment involved working for the governing body of British racing, as Ownership Marketing Executive at the British Horseracing Board. Designing and implementing the national marketing plan for attracting and retaining racehorse owners has given Tom the ideal credentials for what is the Foxtrot Racing service. "You will be hard pushed to find a better service for the professional design and management of your website."